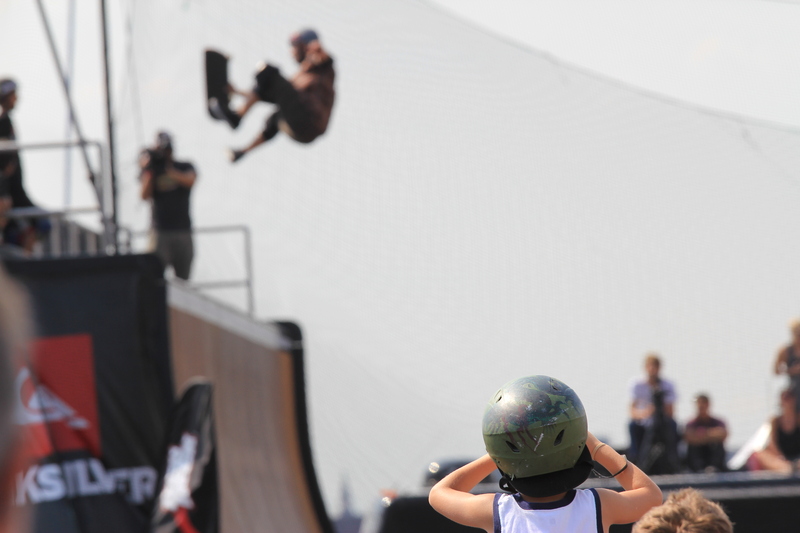 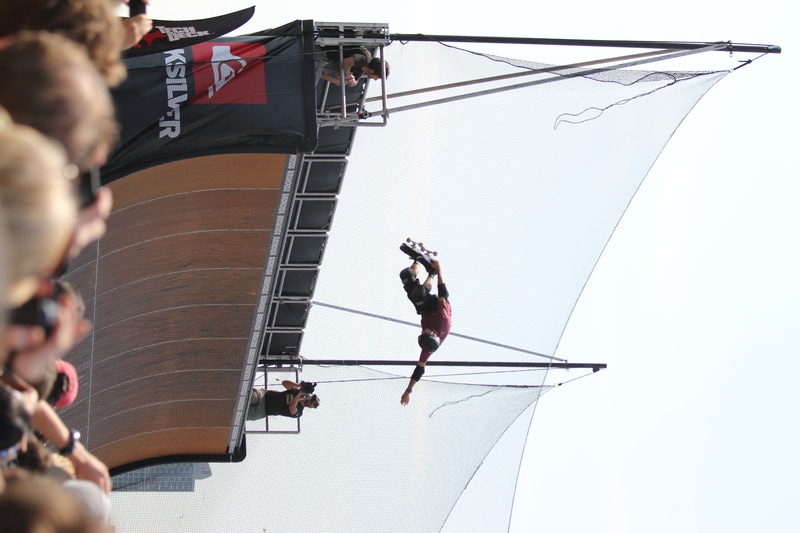 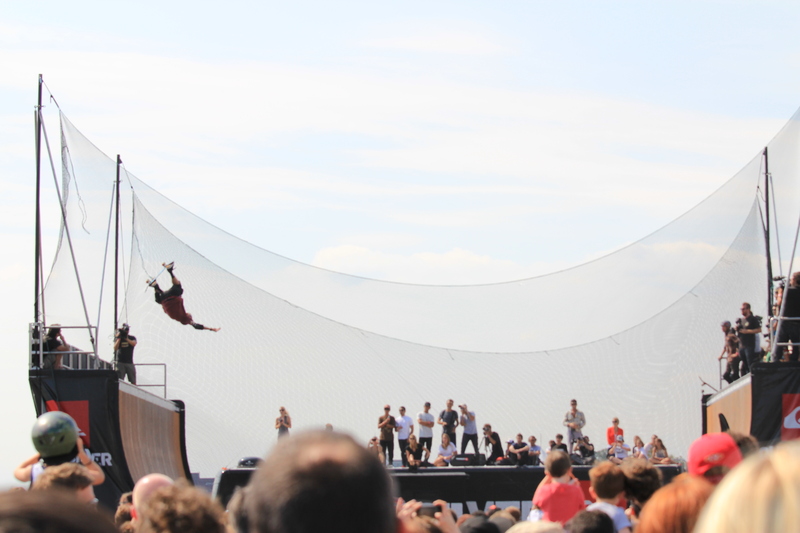 Yesterday Tony Hawk and his Birdhouse team skated a Quicksilver Demo at Pier 54 on the West Side. 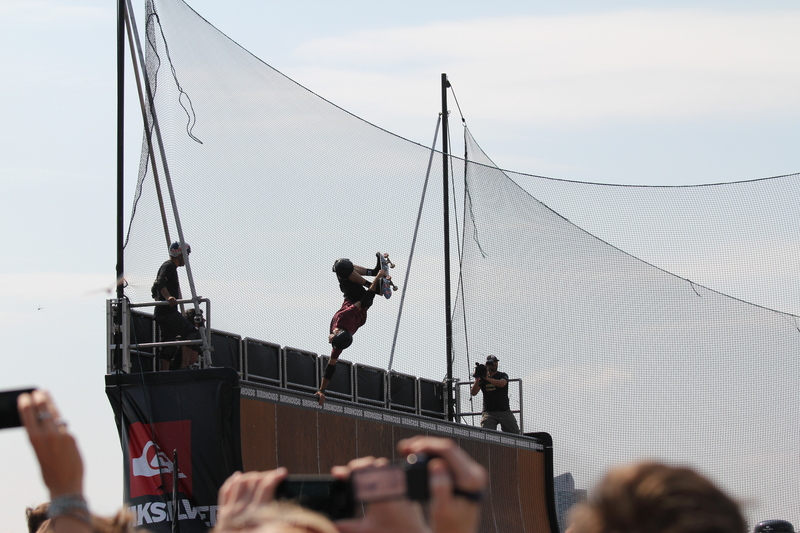 It was a little windy so things were pretty mellow but this 14 year-old kid Mitchie Brusco was going off. 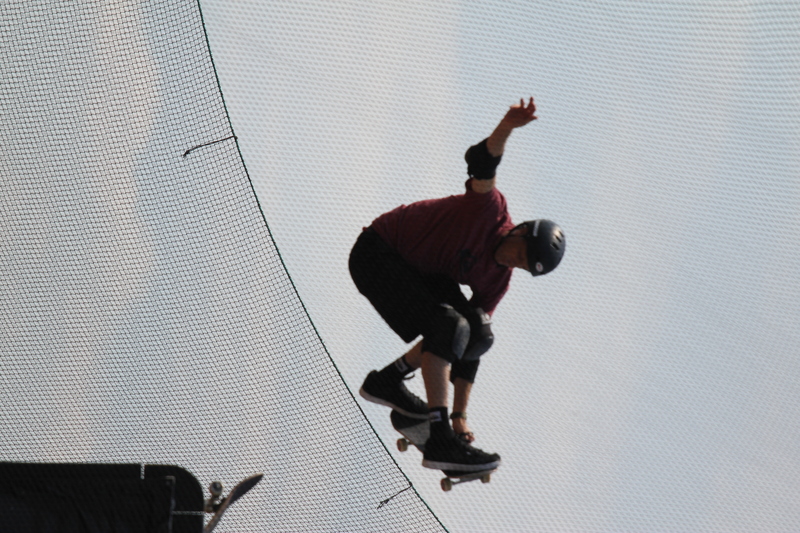 He looked like Tony Hawk looked back when I saw him in 1985.